Through 36 holes at the Boilermaker Invitational, Illinois State had built a slim one-shot lead on host Purdue. When the final 18 holes were wiped as a result of overnight rain, the Redbirds logged a big victory. Illinois State, No. 83 in the Golfweek/Sagarin College Rankings, took head-to-head victories on No. 57 Purdue (second) and No. 47 Northwestern (fourth), and most notably No. 7 Oklahoma (third). The Redbirds finished a 36-hole day at Kampen Golf Course in West Lafayette, Ind., at 16 under as a team. That was one better than Purdue and two better than Oklahoma. "This was a big win for our program, and I am so happy for and proud of our guys," said Redbird head coach Ray Kralis. “We did a better job this week of keeping bogies off of the scorecard, and we played like champions coming down the stretch in the second round. We stress the importance of closing rounds, especially in the second round of a 36-hole day, because of how much reshuffling that can happen. I couldn't have scripted a better finish than they delivered yesterday. The guys rose to the occasion, made a bunch of birdies, and earned this win." This is the Redbirds’ second team win of the season. In another week, they will head to the Missouri Valley Conference Championship. If they win they league title, they will also earn the Automatic Qualifying spot into NCAA Regionals. They have finished fourth, second and third in the past three years. Wisconsin’s Jordan Hahn claimed the individual title at 9 under. He had rounds of 67-68 on Saturday. 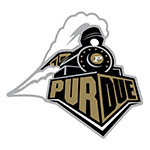 54 hole men's college tournament hosted by Purdue University. Team (best four scores out of five players each round) and individual competitions.